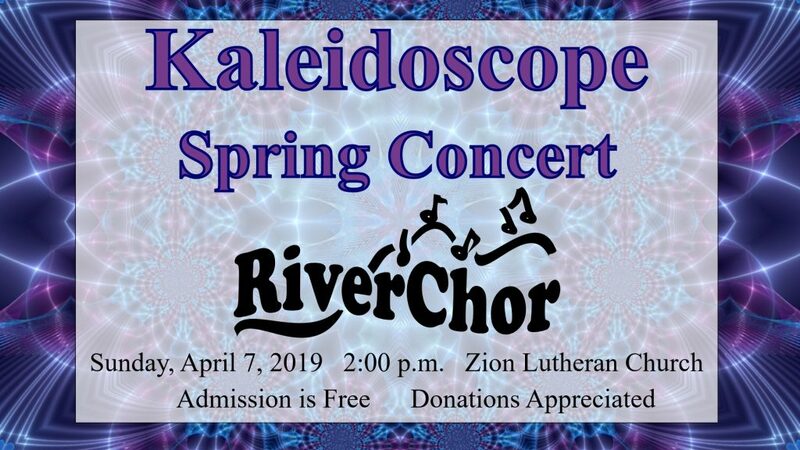 RiverChor is in rehearsals for their spring concert, which will be held on Sunday, April 7, 2019 at 2:00 p.m. in Zion Lutheran Church, 439 3rd Ave S, Clinton, Iowa. This spring, the group is under the direction of Chris Marple, Kathy Janicek, Mark Kapusinski, and Karl Wolf; our pianist is Christine Holmer. Mark your calendars for April 7th! The concert is free, donations are appreciated.